Shocked as we all were by the events in Christchurch, an evening of bowls and, for many, quiet contemplation, couldn't have come at a better time. Les Austing had laid on a beautiful late summer evening, balls to bowl with, greens in perfect condition, a well-stocked bar and barman and a kitchen that brought forth delicious food prepared by some of the ladies of the club. 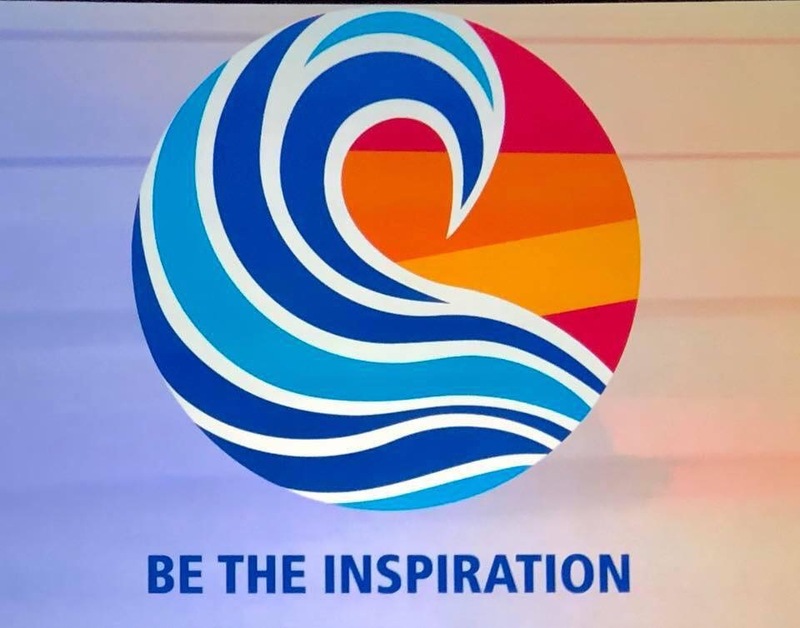 From our 9940 District Governor, Marion Johnston, the message reads, 'The Rotary vision statement begins with the words 'Together we see a world where people unite...' It is important that at this time we stand beside those Rotarians and community members who are affected by Friday's tragic events and offer whatever support we can. As Rotarians we hold core values of diversity, service, integrity, fellowship and leadership; in the ensuing days and weeks we need to demonstrate our commitment to those values. We will be listening to the needs of Christchurch as a whole and District 9970 in responding to the needs of the community. I am appealing to each Rotarian to look in your own communities and ask how you can support them in this time of need. I have talked to John Driscoll and below is a message sent by him and from the Rotary Club of Riccarton who is most closely engaged with the communities on the ground'. From the Club Presidents the message reads, 'There are no words to sufficiently express the enormous sense of sadness and outrage regarding Friday's events and the immense impact this has had on the local Muslim communities in the areas of the Riccarton, Linwood-Woolston and Ferrymead clubs and on our wider community as a whole. At an appropriate time in the near future we will seek to make contact directly with local leaders in the Muslim community to see how Rotarians can offer further support. In the meantime, we can act now by making a significant donation to a Rotary fund that has been set up to support the victims of this devastating attack. We are asking all clubs within our district to make a donation towards this fund, which will be made as a joint donation and message of support from all Rotarians in our district. We also condemn in the strongest terms the base values and attitudes directed towards our migrant community who have just as many rights as we all do to live life free from violence and prejudice. Those values are a complete anathema to the values of Rotary. Please support this appeal generously by sending funds to the account that is being managed by the Riccarton club - 03 0823 0350538 00 Reference: Mosque Appeal'. (This matter will be discussed at Forum on 9 April). And from John Driscoll, District Governor of District 9970, the message reads, '“Dear Fellow Rotarians, I know you will all join me in utterly condemning the senseless and cruel events of Friday. Rotary is about building communities, not tearing them down and we must act accordingly in our response to this attack. Please join with me in supporting the appeal detailed below by the Presidents of the three clubs with areas most affected. Rotary can and must demonstrate its primary purpose in the days ahead and always....doing good in the world'. You may have already received your copy of the latest District News, but in case you haven't, you can scroll down to read messages from District Governor Marion, District Governor-elect John, and a message from Rotary International President, Barry Rassin here. The Youth Committee, aka Sue Adams, is still looking for someone to put forward for the Innovative Young Minds programme. Names must be put forward by 1 April. 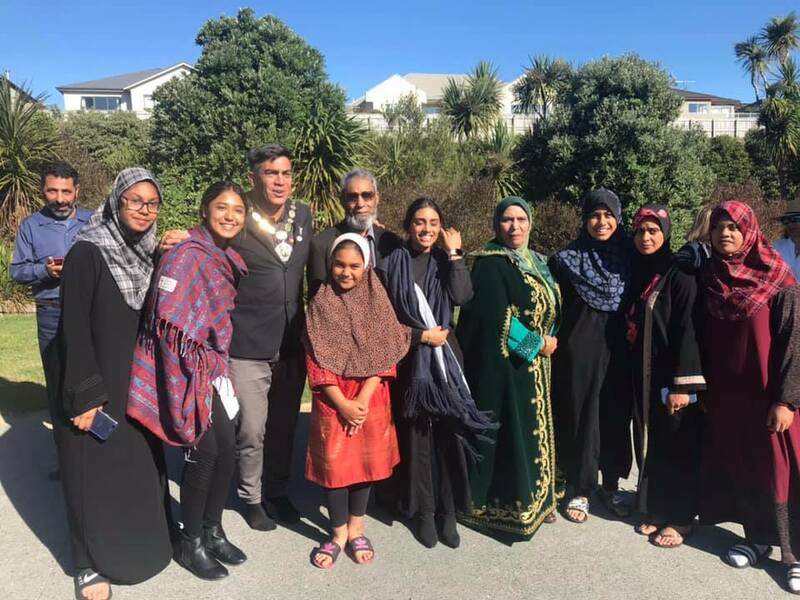 President Donna thanked those members who were able to attend the multicultural vigil at Horouta Marae in Whitford Brown Avenue on Sunday afternoon. Kia Kaha Christchurch (Stay strong, Christchurch). Members from all the local clubs, as well as the Mayor and others, attended this special local event. President Donna mentioned the Global Grant for Romac, our club's contribution to which will be discussed at our Forum on 9 April. This Global Grant would enable 7 to 8 children from the islands of the South Pacific (predominantly Vanuatu and Fiji but typically also Tonga, Samoa, Papua New Guinea, Solomon Islands and Timor Leste) to receive life-saving and dignity restoring surgeries, predominantly cardiac procedures and Encephaloceles (brain hernia removal and reconstructive facial procedures). The sustainability aspect of the Grant would be training programmes of 1–2 weeks duration in Vanuatu and/or Fiji, involving nurses and other health professionals (ROMAC has previously provided such training programmes for the last four years and a recent District 9920 Grant has enabled a similar training programme in Fiji). Writing on behalf of President Donna, Phillip Reidy writes: 'Sadly, for those of you who are not aware, Brian Emery died suddenly, and, unexpectedly on Thursday 14th March 2019. 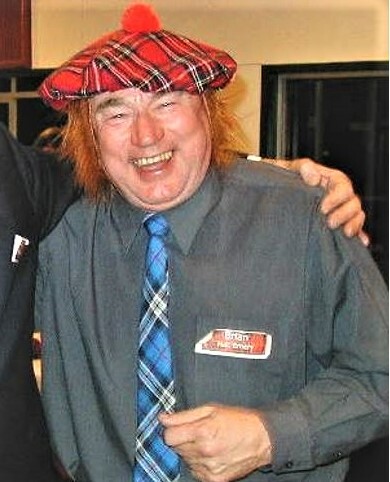 Brian was an Honorary Member of the Club and was President in Rotary year 1997-1998. Wendy Betteridge will represent the Club at Brian’s funeral which will be held on Thursday 21 March 2019 at 10.00 am. The service will be at Cornwall Manor, corner Knights Road and Cornwall Street, Lower Hutt. Editor's note: To bring some levity to this sad occasion and in memory of what fun Brian could be, I've included a photo taken in 2001 when Graeme Blick took over from me as President. What's coming up in March and beyond? Several members from our club will be welcoming five families from the US and Canada who are in the country on an International Friendship Exchange, organised for our club by Peter Lillico. They will attend our next meeting on 26 March. We will also be inducting a new member, Gwen Hoople. And then, of course, it's the 2019 Book Fair. Allan Nichols is still hoping for more help on Friday to set up and Sunday afternoon to clear up (when there will be drinks and munchies to celebrate the end of another successful event). Please let Allan know if you can help. On Tuesday 2 April we'll be going to the movies at The Light House to see Daffodils and Bob Austin is hoping that you can persuade some more of your friends and family to buy a ticket to support this fundraising event for Emergency Response Kits. The monthly Planning Meeting has been moved to 9 April (because of the movie) and this will be a Forum. You can find information about future events here. Unable to do your duty? Please find a replacement and inform Philip Mottram. If you're a late 'no show' please tell President Donna. Please arrive at 5.45 pm if you're on Door duty or on Introduction duty to greet the Guest Speaker and be his/her host for the evening. Need to apologise or bring additional guests? Advise the Receptionist at Professionals before 10.00 am on the Monday before the meeting on 233 9955 or email paremata@dwre.co.nz if you prefer. Please provide the name (and spelling if necessary). The same applies if you're going to be late. Original generation time 1.4586 seconds.